Additional pricing info: Short breaks may be available off-season; please call for details. State and local taxes of 12.45% will apply. 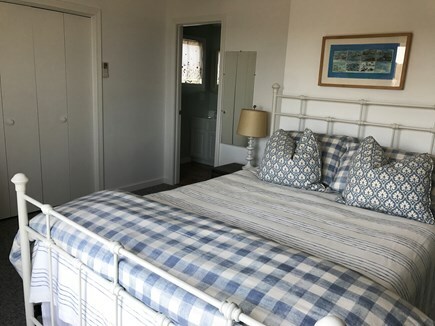 We have enjoyed vacations at Cliff Cottage for over 20 years, starting with its previous incarnation as The Dromedary on the dune bluff across the street from its current location. Dune erosion necessitated its removal to its new spot a couple years ago. Since then, the owners have renovated and enlarged it thoughtfully and with every comfort in mind. The location is spectacular, on the ocean where one can watch the seals play and then the moon rise over the waves. The house itself is better than ever with air-conditioning when needed, a washer and dryer, and lots of outdoor spaces overlooking the Atlantic. 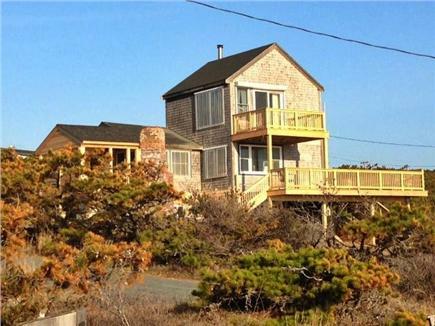 We have been renting condominiums and homes on the Cape and the Islands since 1989. At last, we have found the perfect home! 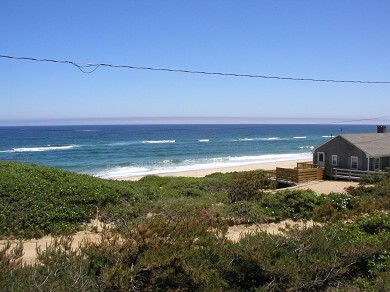 Situated on the National Seashore, Cliff Cottage is a 90 second walk to the beautiful, uncrowded beach. You are constantly surrounded by the sounds of the ocean. 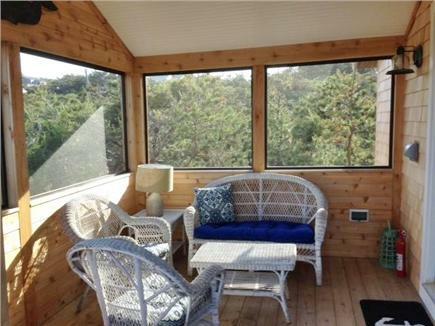 The screened porch and decks afford you an ever-changing and breathtaking view of nature - the ocean, the beach, multiple bird feeders. 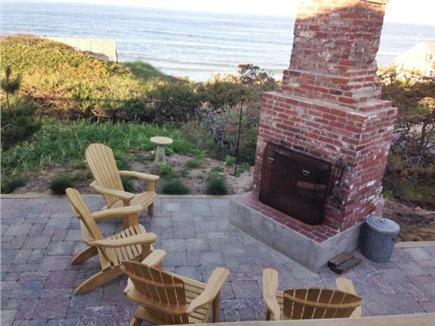 The outside fireplace is perfect for late night marshmallows or cocktails! I haven't even mentioned the interior of the multi-level, wonderfully decorated home! 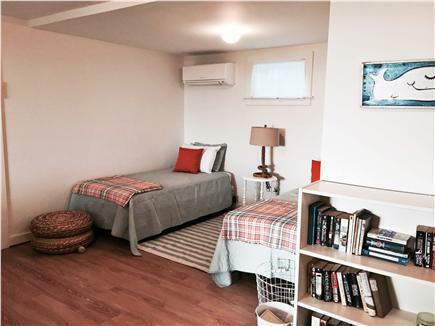 The homeowners have thought of everything to make your stay easy and comfortable. We didn't want to leave and we are definitely returning next year! Cliff Cottage is not to be missed! 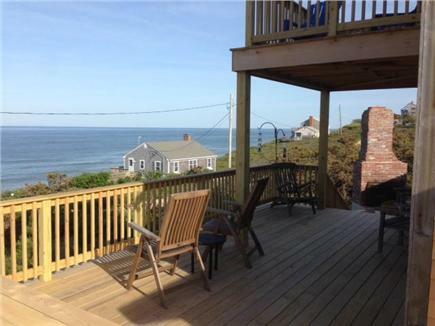 We have rented more than a dozen homes in Wellfleet over the years, and this is our favorite by far. Wonderful location, steps to a gorgeous beach. Beautiful, sweeping views of the ocean. Clean, comfortable and tasteful home. The pictures do not do it justice - much more lovely and charming in person. My husband says, "Everything you need and nothing you don't." We will definitely be back. Wonderful location and layout. Every room in this home offers an ocean breeze and beautiful view. There is nothing better than waking up to the sound of ocean waves pounding the beach. Nothing like a fire under the stars to get the family together. Guest review from Diane Pansire on 6/11/2009 for a stay in June 2009. 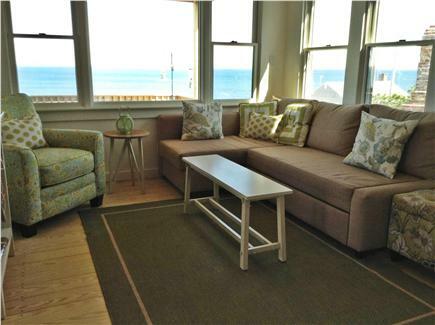 "I loved the location, just a stones throw from the vast and totally uncrowded beach. I loved listening to the sea as I fell asleep and woke in the morning. I loved having a fire on a rainy spring evening. The place was immaculate. The owners were kind and easy to communicate with. 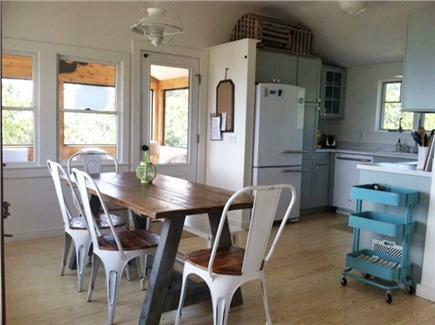 Not a fancy cottage, but cozy, simple, comfortable, and unpretentious."